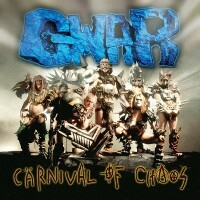 Originally released in 1997, “Carnival of Chaos” is GWAR’s 6th studio album. Clocking in at 74 minutes, it is the band's longest album. Available for the first time as Dark Blue with Light Blue Marbling Colored Vinyl and limited to 1000 copies.